Religion will always be a sensitive subject and in a multicultural society like ours it can be tricky for employers to navigate without unintentionally discriminating. With that in mind, Acas (the Advisory, Conciliation and Arbitration Service) have just issued new guidance on Religion and Belief discrimination. What is religion or belief discrimination? Job advertisements should be published widely, religion should not be mentioned in the posting but the employer should be clear in explaining the job’s duties and hours of work so there are no misunderstandings. Any potential issues should be flagged up early on in the recruitment process e.g. if the role involves client networking it would not be suitable for someone who refusesd to shake hands for religious reasons. In rare circumstances employers can specify an ‘occupational requirement’ that a candidate must have (or not have) a particular religion or philosophical belief. Requests for time off for religious festivals or for religious reasons should be considered carefully and sympathetically and ideally, agreement on such requests should be set out within the employment contract. The guidance warns that refusing requests for leave for religious holidays and time to pray without good business reasons can lead to a claim for discrimination and also, that employers should acknowledge that employee performance may be affected during fasting. Where possible, employers’ dress codes should be flexible and reasonable and any restrictions must be based on solid business reasons that are proportionate, appropriate and necessary. 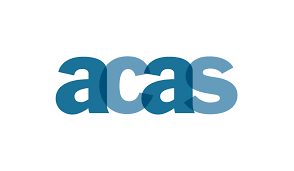 In the absence of any government guidance, the Acas guide is long overdue and whilst it does go some way to inform and comfort employers it fails to address real life complexities of the workplace. For example, employers can be liable for their employees’ acts so it’s advisable to provide training to all staff on religion or belief discrimination and lay down firm rules on what behaviour is unacceptable. Employers should also note that if a discrimination cases got to an employment tribunal, the focus would be on how an individual ‘perceived’ words or actions and this is of course subjective. If you are an employer or an employee and have concerns about discrimination in the workplace, contact North Ainley for expert legal advice. This entry was posted in Employment, Legal Briefs. Bookmark the permalink. Both comments and trackbacks are currently closed.